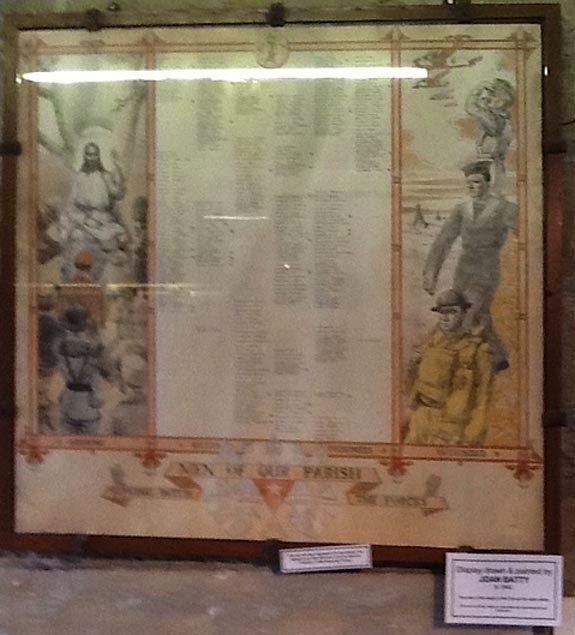 Glazed, illuminated hand painted and written roll of honour in wooden frame. Symbols to men missing, killed, prisoners, wounded. Left hand picture depicts Christ blessing men in uniform of all races before him. Right hand picture shows airman, sailor and soldier. Names in centre panel.